Assume the name is still trademarked or otherwise unusable or whatever but Seattle Supersonics..would resonate with the city. If they really want to do Whalers, there might be a good way to make that H a W for Washington Whalers. However, two teams named Washington would be an issue. Florida had been my conspiracy theory to relocate several years ago. I think they would've gone too. But the ownership basically used their net losses to leverage (hostage) the local government to pony up for huge subsidy payments on the arena. Also - I thought the "Arizona to the Central" move by Bettman & Co. was pretty slick. I mean they say "Oh, well Arizona operates in Mountain Time". But what they really meant was "This will make it easier if your team ends up relocating to Houston, Kansas City, or Quebec." One of these teams will be relocated by 2025. There are already two team named New York... so it shouldn't be an issue. If I was marketing I would be all over the Washington Whalers. 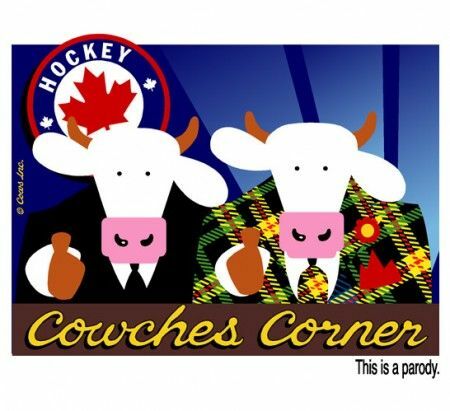 If Don Cherry wore a cow mask I might actually watch/listen. Would at least make the face a little prettier. I might watch at that point but I would probably still leave it on mute.